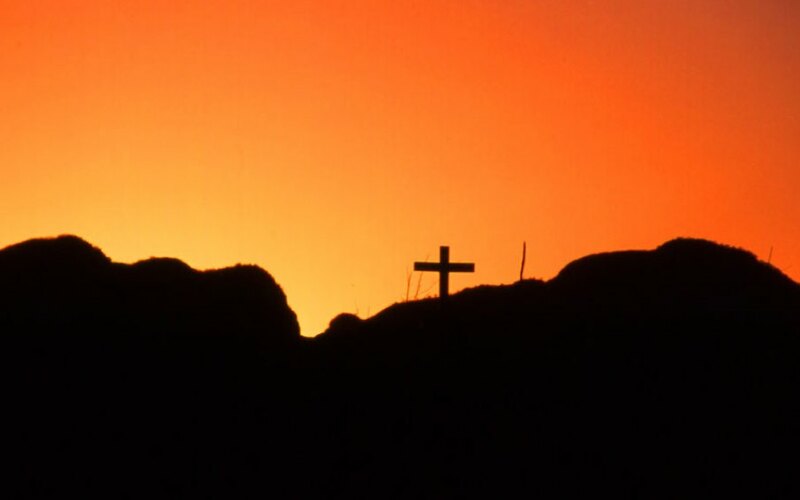 The sun was rising over the Sierra Madrés when I climbed to the cross. It is not far to the hilltop where it sits, but when I reached the monument, which the locals call La Cruz, I felt breathless. I’m getting old, but I like to think it was the view, not my infirmity, that took my breath away. Below me, the vast waters of Sinaloa’s Lake El Salto glowed with the tangerine light of a Mexican dawn. Bolls of cotton clouds floated in a turquoise sky. My wife Theresa and our guide Carlos, casting for bass, were graceful silhouettes in the fishing boat I had just left. I find it difficult to explain the feeling that came over me while I sat beside that simple monument. It was unlike anything I had experienced before. Some might call it déjà vu. But it was more a “sense of place”—a spiritual sensation that somehow I belonged here; a feeling that years of familiarity had created a deep emotional tie to this particular spot on this particular island in this particular lake. There was an uncomfortable vagueness about the feeling, however, because I knew there was nothing that bound me to this spot. I had never been here before. I kneeled beside the cross and took a picture. And before returning to the fishing boat, I said a short prayer of thanks. At that moment, I felt the spirit of Gus Hansch beside me. A mile or so from the Isla de la Cruz, another island rises sharply from the waters of Lake El Salto. It has served as a landmark for fisherman as long as anyone can remember. A sheer rock face surrounds three-quarters of the island. On one end, however, the craggy landscape slopes gently to the water. A path here winds upward to the island’s summit and to a lovely shrine overlooking El Salto. The sun was already high when I reached the sacred place, but the view was incredible nevertheless. The Sierra Madrés formed a resplendent backdrop for Salto’s indigo waters. I could gaze for miles into the endless backcountry of the Sinaloa wilderness. Like La Cruz, the shrine is beautiful in its simplicity. Three rose-colored walls surround a marble floor sheltered by a pink masonry roof. One end is open so the Virgin Mary standing on the altar inside can look out over the lake. Several burned-out candles lined the altar on both sides of the statue. On the floor, a pot of white flowers had overturned. As I gazed at the statue of the Virgin—a lone woman surrounded by the sun and supported by an angel holding a crescent moon—I found myself overcome once again by unfamiliar sensations. I am not a particularly religious man, but to be quite honest, I felt like I was standing in the very presence of God. Humbled by my experience, I walked the path to the water’s edge and rejoined Theresa and Carlos in the boat. “I fished with him many times over the years,” answered Carlos. “His friends called him El Tigre. He started fishing other lakes in Mexico many years ago, and when El Salto was built, he started coming here, too. I often guided him and the family and friends he brought to the lake. He told me El Salto was his favorite place in the world. “Tigre loved to fish more than any man I ever met,” Carlos replied. “He fished very often. He didn’t fish because he thought it would earn him money or fame like a professional angler. He fished because he loved the outdoors, because he loved being on the water and because he loved feeling a bass fighting at the end of his line. Fishing was important to him, and he shared his love of fishing with everyone he knew. Lake El Salto is one of the most famous trophy bass lakes in the world. Thousands of people pursue the giant largemouths of these hallowed waters each year. The reason so many come is because El Salto itself has become a shrine. Those obsessed with catching the bass of a lifetime will probably find their prayers answered here. Ten-pound bass are common, and larger specimens are caught by someone in nearly every party that visits. The worshippers come, therefore, by the thousands. And all of those people while they are fishing will see the shrine built to honor the Virgin Mary of Guadalupé and the cross built to honor the memory of August “Tigre” Hansch. Before this was written, few would have known why the cross and the shrine are there. But now, perhaps, they will. And perhaps they will see El Salto in new light. This is a lake a “true fisherman” loved so much he wanted to spend eternity there. This is a lake where someone in the heavens watches over the fishermen. In light of those things, the fact that El Salto is also one of the world’s best trophy bass lakes … well, that doesn’t seem quite as important now, does it? If you must, use the bassing fishing as an excuse to visit. But when you go to El Salto, stop fishing long enough to visit the lake’s two island shrines. You’ll go home with more than just the memories of great bass fishing. You’ll leave, as I did, feeling truly blessed.